Carlos Carrillo, husband of Lila Silveira, created this charming black with white lace-like designs olla. 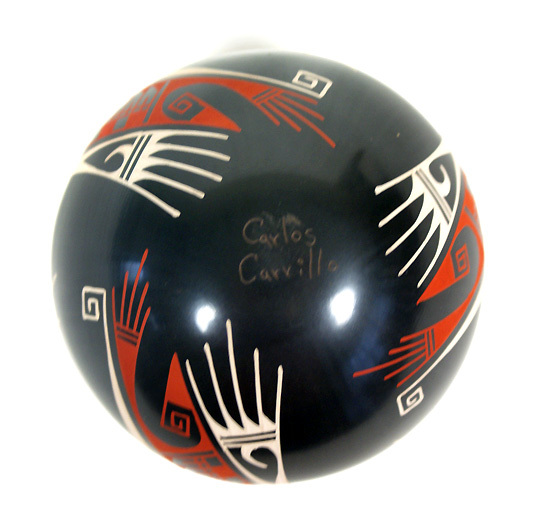 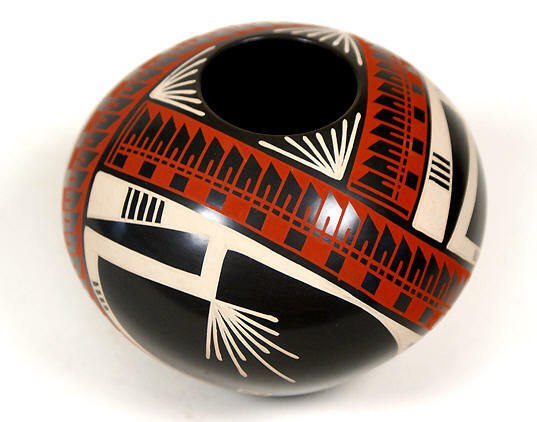 Both Carlos and his wife studied with Juan Quezada, who still gives them some of his best clays and natural pigments. 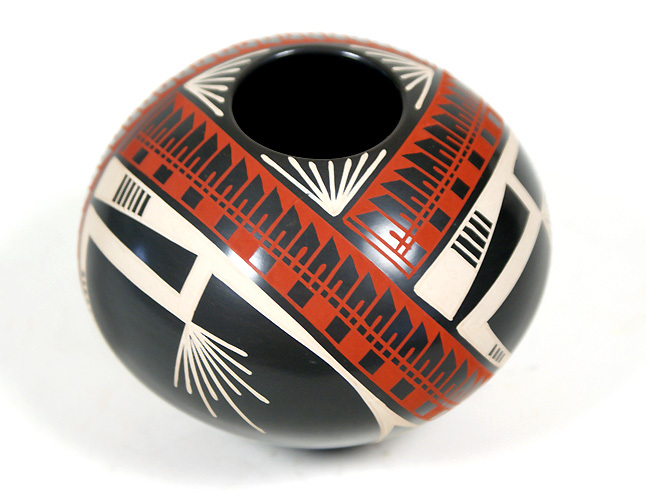 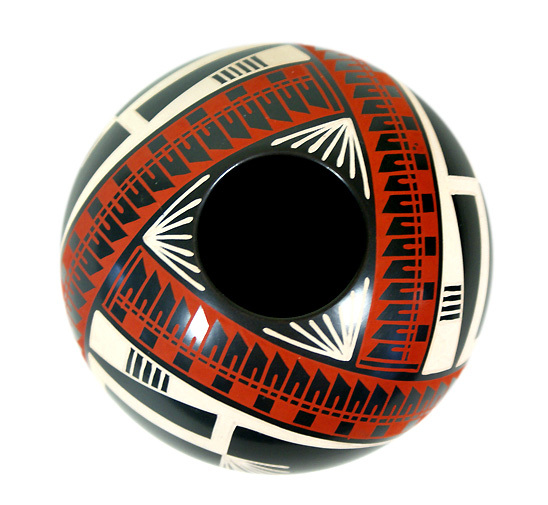 ©2000-2010 Fine Mexican Ceramics TM Art Gallery All rights reserved. 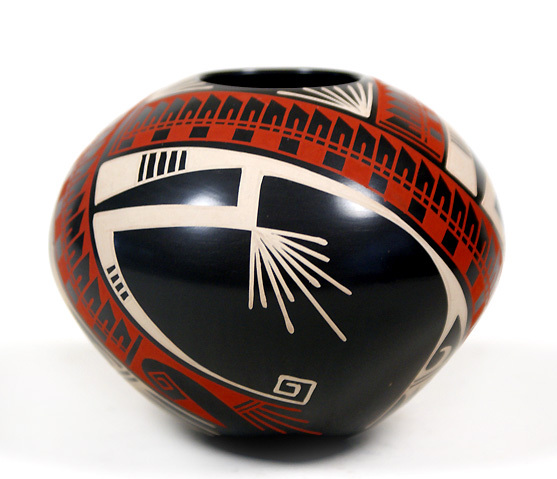 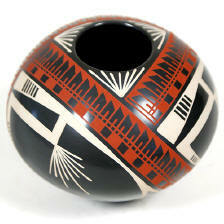 of Fine Mexican Ceramics TM Art Gallery and protected by copyright law.